Is your boring and lacklustre kitchen driving you crazy? You would so like to upgrade your cooking space for something chic and modern, but really don't have the time or money. A whole new kitchen is out of the question and budget, so it's time to consider the alternatives. In this edition of homify we look at cheap kitchen fix ups that will make your home look brand new again! 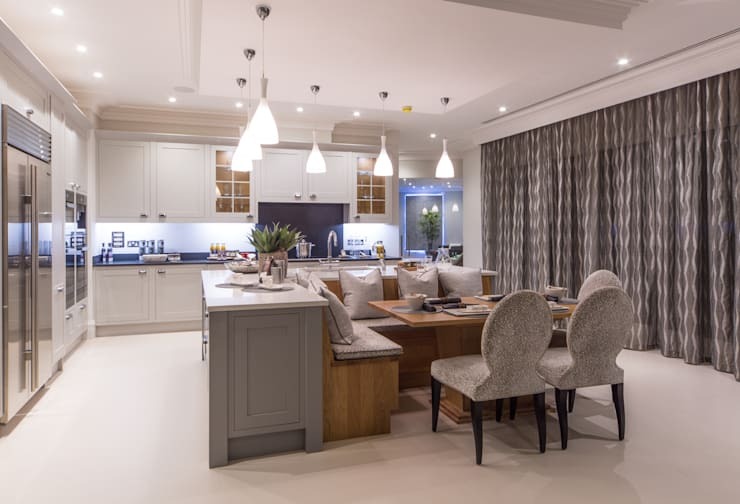 The ideas are simple and while the Ideabook has been compiled with the help of interior designers, you kitchen will be a pleasure to work in again! Excited to begin? If you have tiled kitchen walls, chances are that after a few years your tiles are starting to look old and tired. It may be time to have a look at alternatives that will still allow your kitchen to be stylish, while also being affordable. Removing your kitchen wall tiles and opting for a painted wall is a great idea, it allows you the freedom of changing your kitchen wall colour as often as you'd like. While you at it, you might want to paint the ceiling too. If you are lucky enough to have cupboards that can be painted, then this is great kitchen sprucing up idea for your home! Choose your favourite colour or be brave and opt for something bright and eye-catching, but if you are somewhat introverted a neutral colour might suit you too. An easy way to get an even coat is by using a spray on paint. After a while kitchen cupboard doors tend to fall off their hinges and break, it may therefore be a good idea to change the hinges of your doors or even change your cupboard doors for a lighter more efficient material. This idea will add years to your kitchen, while maintaining a stylish cooking space too. 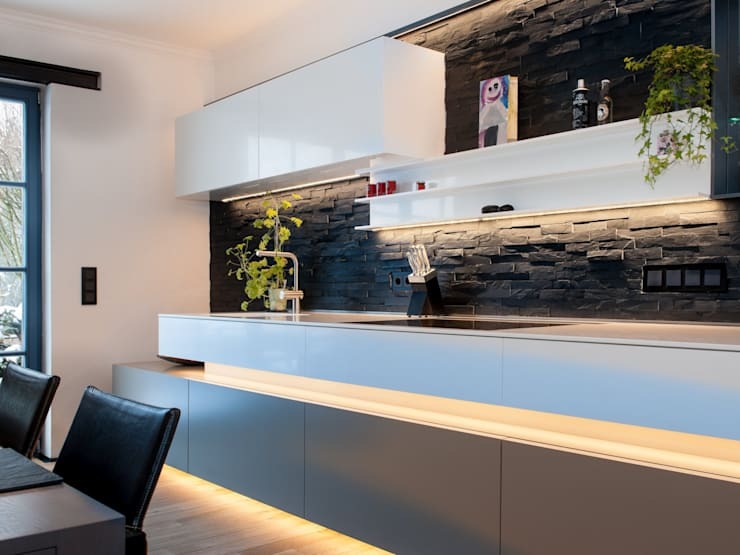 Another great way of making your kitchen look good again is by replacing your old fixtures and fittings for something sleek and modern, this could mean everything from your taps, kitchen sink and even your towel rails. 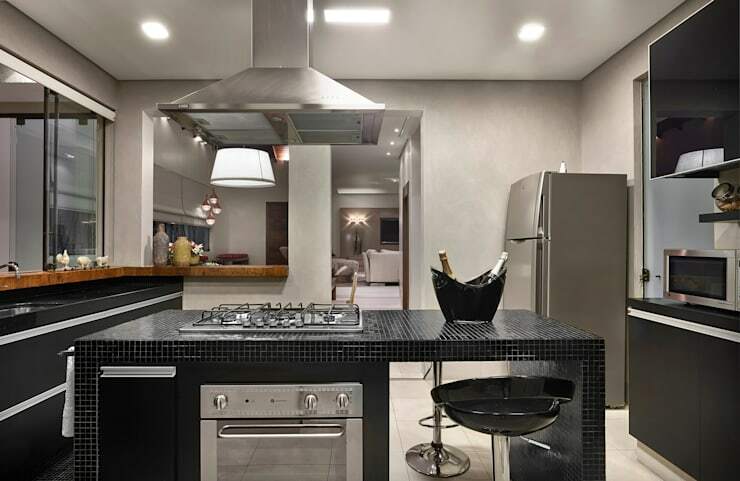 If you are in need of some new appliances, then splurging on a sophisticated stove or oven will definitely be worth it. The splashback in the kitchen is an understated modern decor tool. It can make your old and unimaginative kitchen look stylish and attractive again by simply adding some fantastic colour and old world charm. 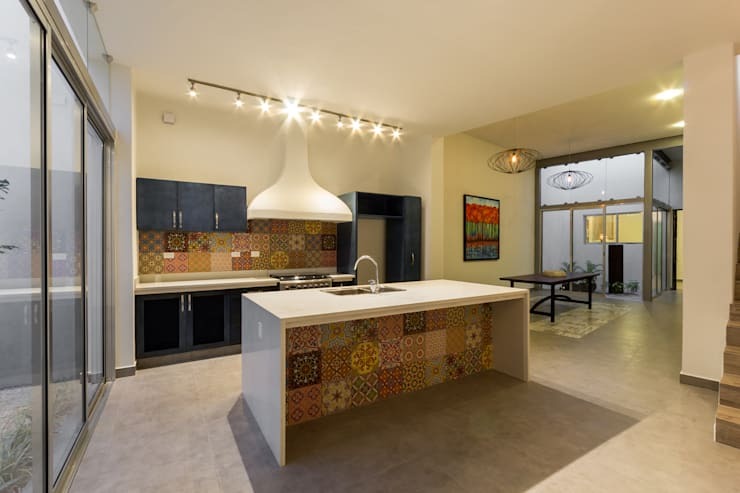 Something with a mosaic style such as this will definitely evoke an appreciation for the Mediterranean. Last but not least, improving the style of your kitchen can be done easily with some charming and cosy lighting. 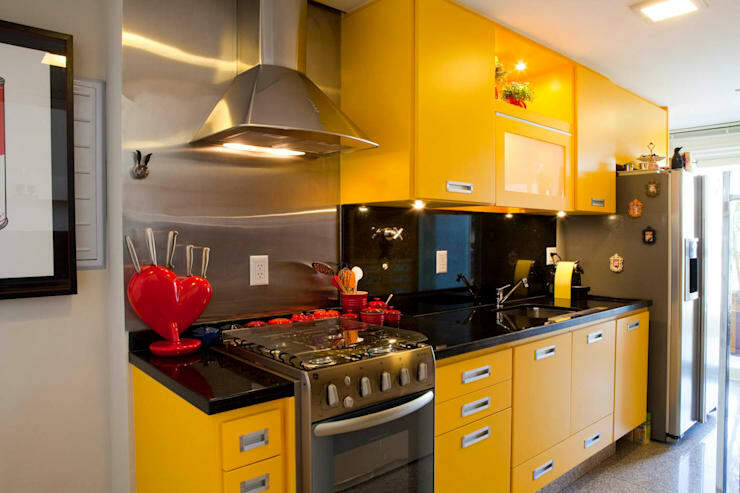 This stylish home decor feature can make even the most boring and bland kitchens look bright and attractive again. 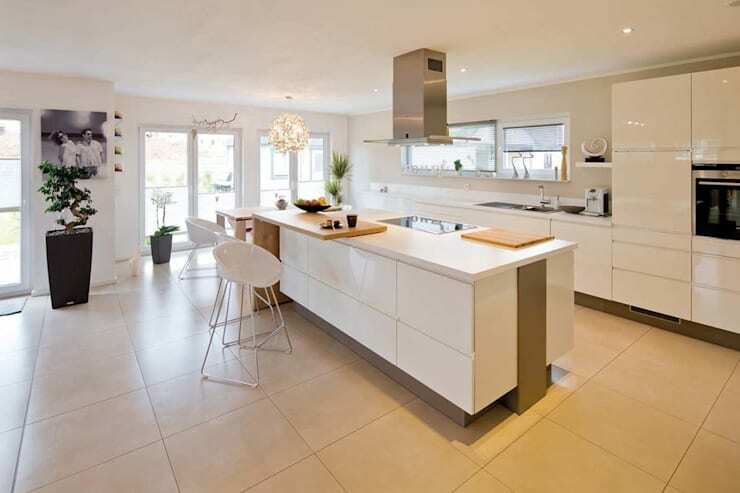 Now if you like minimalist style, then these 10 All White Kitchens are likely perfect for you. How have you fixed up your old kitchen?